Popular Networking Event for the geothermal energy industry on Sept. 28 before the GRC Annual Meeting & GEA Expo in Portland, Oregon. Prior to the carbon emission limits placed on power plants Central Florida clean energy company discusses air pollution and clean energy initiatives with EPA Administrator. 19.8 megawatt Brahms Wind Project is third wind farm launched by BayWa r.e. in U.S.
�	Saft Li-ion Energy Storage Systems ensure the effective grid integration of solar PV at all levels from enhancing domestic self-consumption through to megawatt scale installations that support the operation of large PV generation plant as an integral element of power networks. �	Saft is now offering a warranty extension of up to 15 years for Synerion® Storage Systems integrated into Bosch's BPT-S 5 Hybrid intelligent energy management and storage solution. 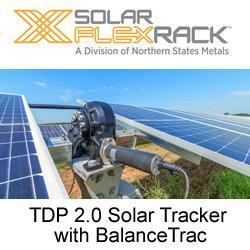 InterSolar North America 2014: advanced technology in Grupo Clavijo's structures and trackers. The upcoming edition of InterSolar North America, to be held in San Francisco (California, USA) from 8 to 10 July 2014, will be the backdrop for the presentation of the latest products for the solar photovoltaic market from Grupo Clavijo. PVinsights : Dramatic price cuts on polysilicon in June. Slow system deployment in China and the approaching quarter-end adds price cut pressure on Chinese module makers. As module, cell, and wafer pricing drops consecutively, price cut pressure for polysilicon increases in June. The 8th Energy Storage World Forum in 2015 will take place in Rome and will include The 3rd Microgrid Forum and The 2nd Residential Energy Storage Forum.